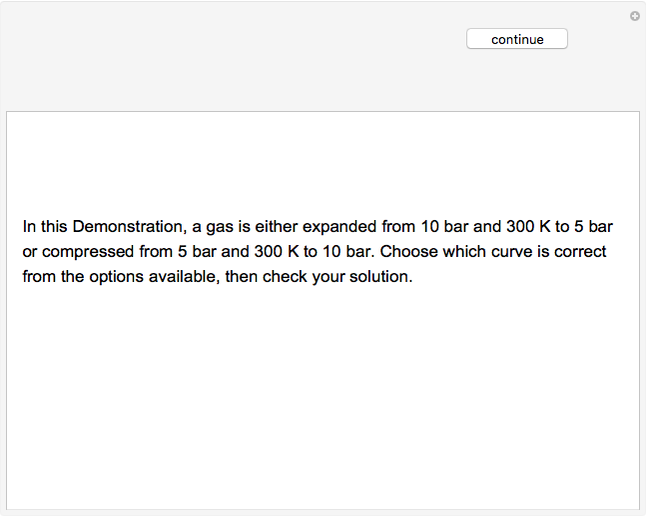 Use this Demonstration to identify isothermal, reversible-adiabatic and irreversible-adiabatic processes of an ideal gas in a step-by-step procedure. 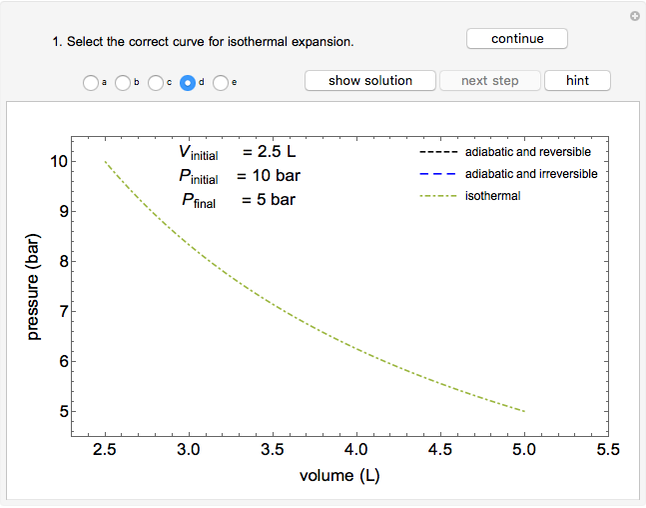 After starting and with "new problem" selected, the Demonstration shows either an expansion or a compression process, and either a pressure-temperature or pressure-volume diagram. 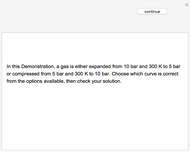 Select your answer from the possible options (a, b, c, d, e) and then select "show solution" to see the correct answer. The "hint" button provides a hint for each step, and once "show solution" is selected, you cannot go back. where the subscript refers to the initial state, is the ideal gas constant (kJ/mol K), is volume ( ), is temperature (K) and is pressure (Pa). where the subscript refers to the final condition. where , is the constant volume heat capacity and is the constant pressure heat capacity (kJ/(mol K)). J. R. Elliott and C. T. Lira, Introductory Chemical Engineering Thermodynamics, 2nd ed., Upper Saddle River, NJ: Prentice Hall, 2012. Neil C. Hendren "Reversible and Irreversible Expansion and Compression Processes"